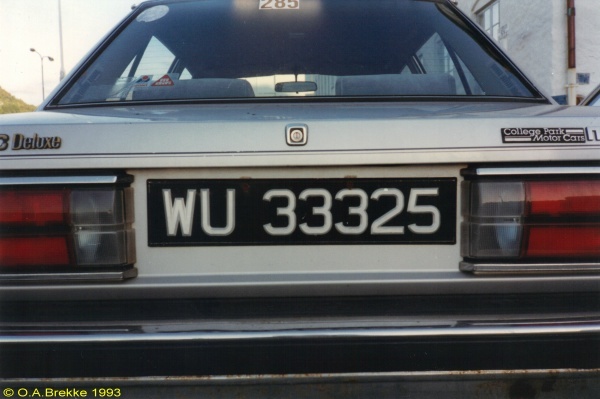 New plates were introduced in 1999: Three letters followed by three numerals. Normal series 1970s-99. 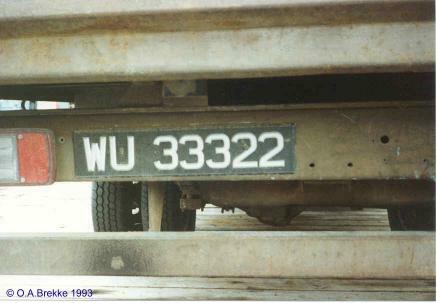 WU = Western Urban.